Our expectations toward Switzerland were all about mountains: the wonderful Swiss Alps. Our expectation towards Swiss cities? Having a nice view of the Swiss Alps in the background. 🙂 Well, there’s definitely no mountains to be found near Basel. 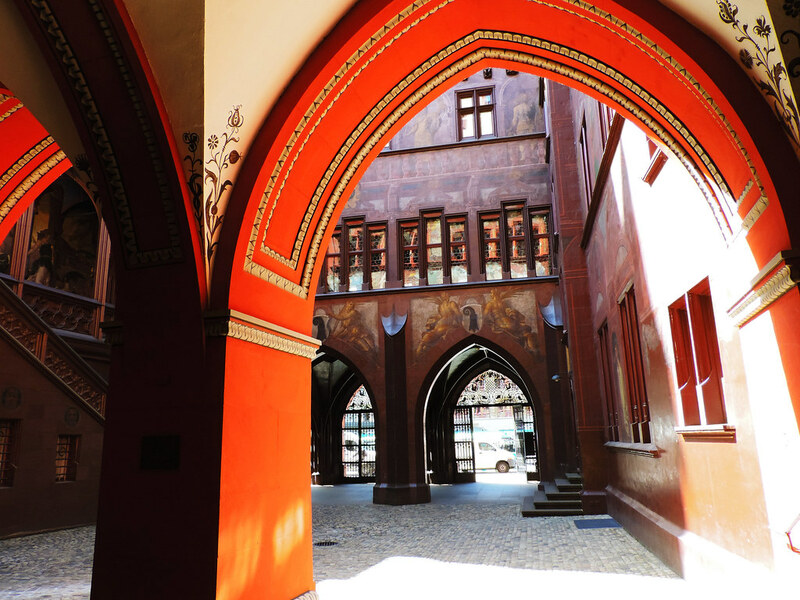 But it’s such a pleasant and lively city and there’s a lovely old town rich in beautiful architecture. Our favorite piece is the Town Hall. 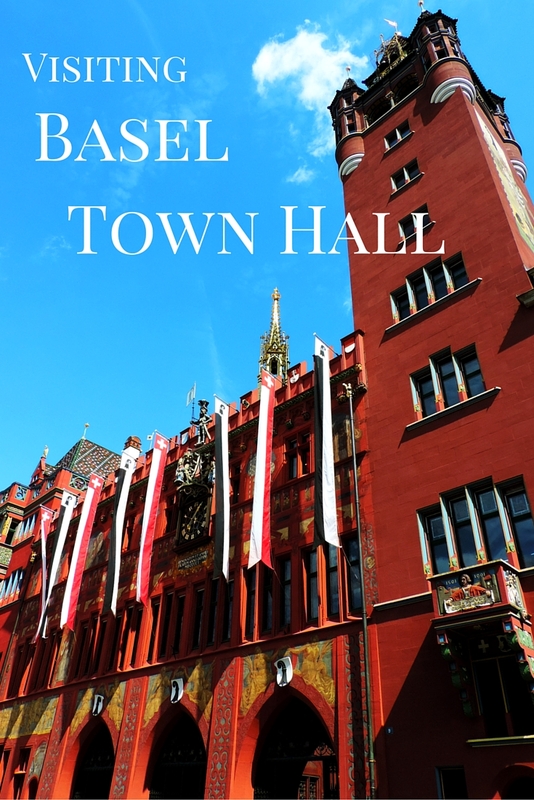 Why has Basel Town Hall impressed us? The other amazing thing about this Town Hall is its colors. Such beautiful, vivid colors! The most dominant is red because of the red sandstone it was built from, but the colorful frescos on the walls and some colorful statues add most of the colors to the list. 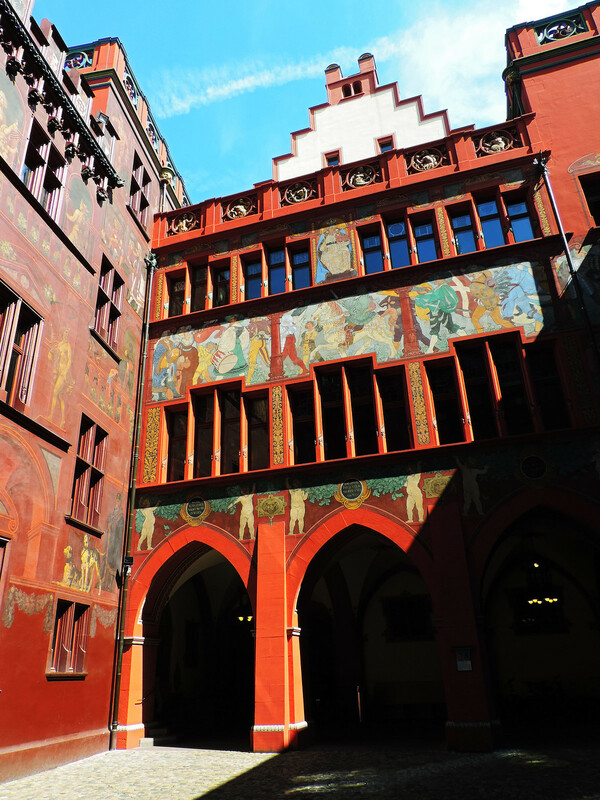 The largest colorful statue in the courtyard is of the founder of the Roman city of Augusta Raurica (about 10 km from Basel). 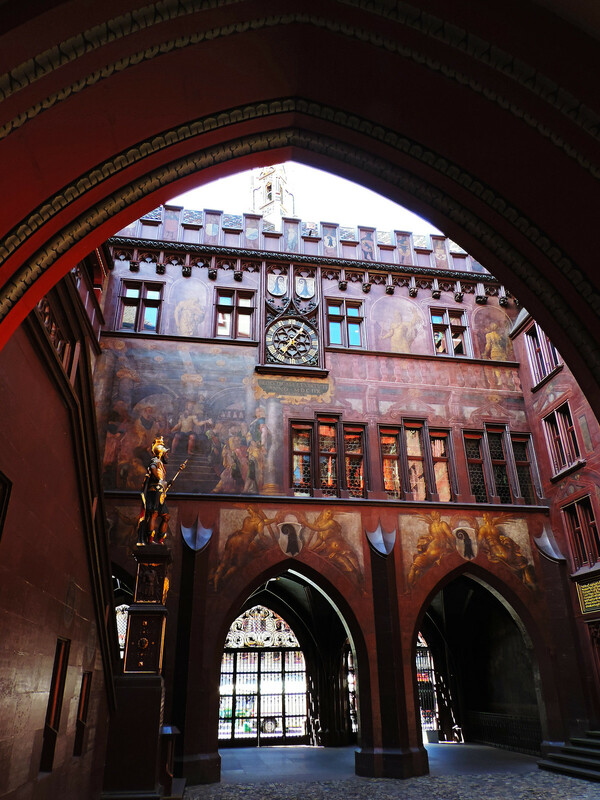 Basel Town Hall is built in a Neo-Gothic and Neo-Renaissance style and it was built about 500 years ago (1504-1514). 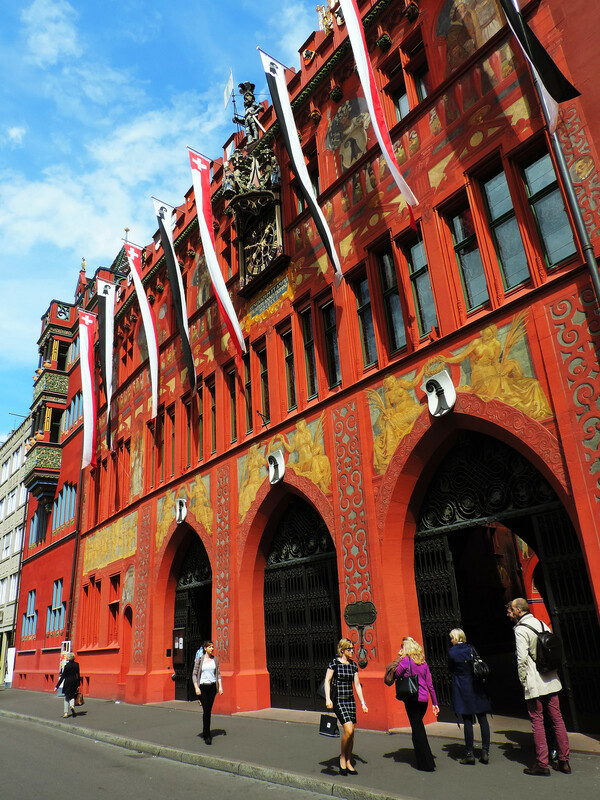 The occasion for building this new Town Hall was Basel joining the Swiss Confederation that time. 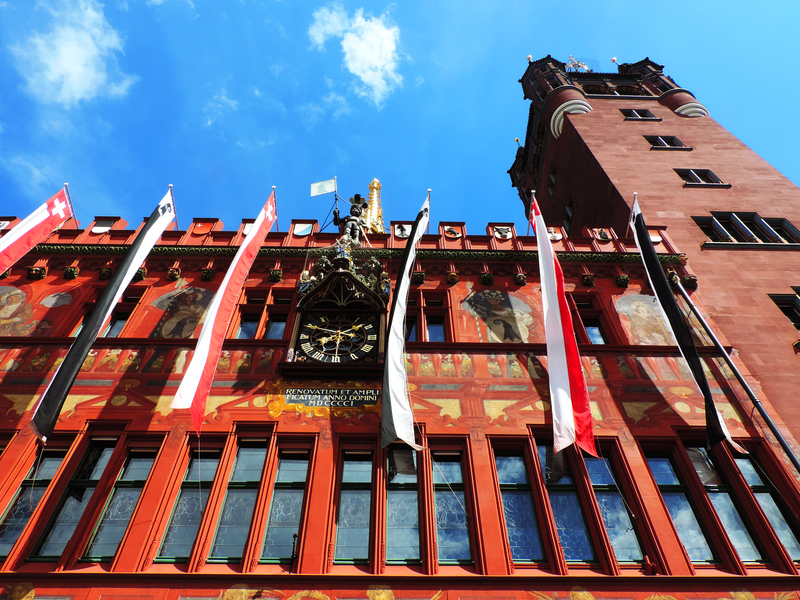 Today it still houses the meetings of the Cantonal Parliament as well as the Cantonal Government of the canton of Basel-Stadt. What do you think? Do you have a favorite city hall? 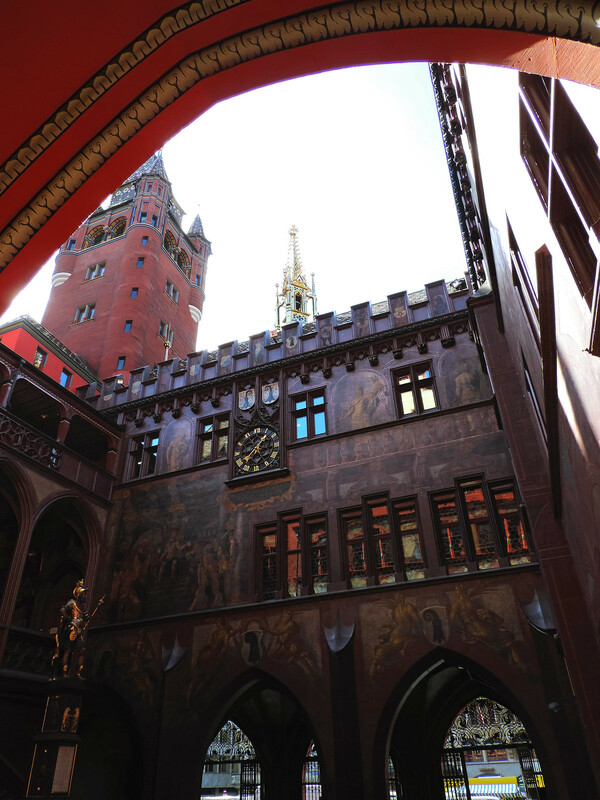 I don’t have a favorite city hall but I must admit that the city hall in Basel in awfully impressive. I thought that in general the city is blessed amazingly beautiful architecture. 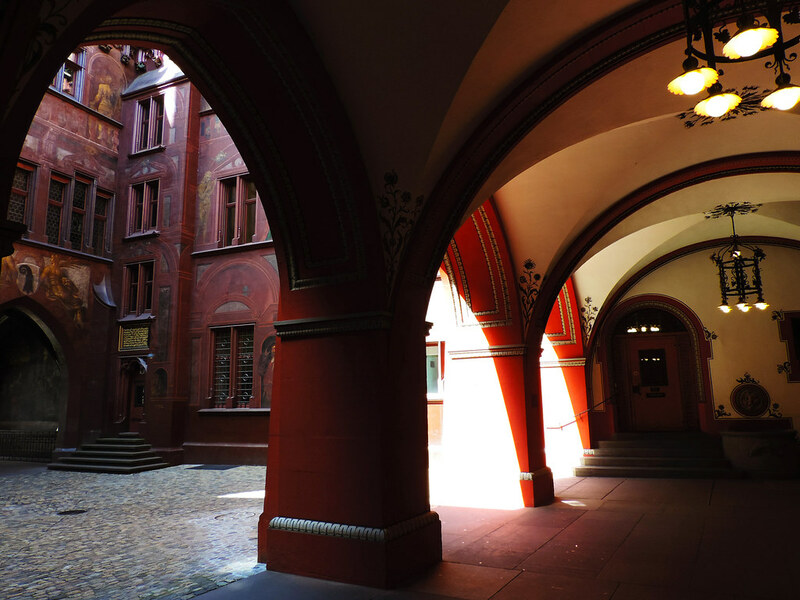 I’m super into architecture in Basel it’s so obvious how lovely it is.